There are enormous challenges in establishing policing systems in young democracies. Such societies typically have a host of unresolved pressing social, economic and political questions that impinge on policing and the prospects for reform. There are a series of hugely important questions arising in this context, to do with the emergence of the new security agenda, the problems of transnational crime and international terrorism, the rule of law and the role of the police, security services and the military. This is a field that is not only of growing academic interest but is now the focus of a very significant police reform ‘industry’. Development agencies and entrepreneurs are involved around the globe in attempts to establish democratic police reforms in countries with little or no history of such activity. Consequently, there is a growing literature in this field, but as yet no single volume that brings together the central developments. 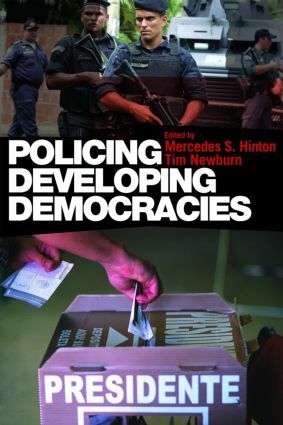 This book gathers together scholars from political science, international relations and criminology to focus on the issues raised by policing within developing democracies examining countries in Eastern Europe, Asia, South America and Africa. Turkey: Progress towards democratic policing? Police and state reform in Brazil: Bad apple or rotten barrel?